But like tobacco, coal marketing should have a health warning attached to it. Coal dust and combustion cause the same spectrum of heart and lung disease and death as cigarettes. Studies show that the dust particles released by mining and burning coal increase the risk of dying from lung cancer, chronic heart, respiratory and kidney disease. The resurgence of coal miner’s black lung is a health disaster. The NSW Minerals Council is being entirely disingenuous with its promotions of coal – it highlights potential short-term benefits from mining activity without acknowledging the very real and documented health costs that are frequently borne by workers, local communities and taxpayers. It fails to acknowledge in anyway that coal mining must be curtailed and energy production undergo transition to renewable energy if climate change is to be arrested and if Australia is to fulfil its international obligations. It fails to recognise the fundamental difference between mining to produce metals, for which we have no substitute, and mining thermal coal to produce energy for which there are now much better alternatives. It also fails to take into account the development and investment in new coal mines is now eschewed by an increasing number of governments and investors. The world’s largest sovereign wealth fund – Norway’s – divested stocks whose assets are dominated by coal miners or coal burners last year.This week, JPMorgan Chase became the latest big bank to pull back from coal. NSW Minerals Council should not boast from its use of only 0.1 per cent of NSW land – the issue is the damage it causes from that use. In NSW alone there are 520 deaths a year from air pollution, a significant proportion of these are from coal combustion. Cleaning up air pollution to meet the new national standards for fine particles would yield a community benefit to Australia worth $6.5 billion. Reputable economists in the US have looked at some of their coal mining regions and find no overall economic benefit to the community. Profits and royalties are balanced by health and environmental harms. The community reads the media and they are not ignorant about coal but they have no options. 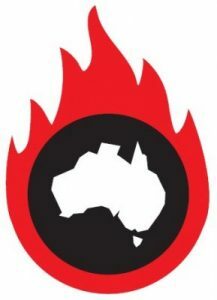 Unfortunately there has been little recognition as yet by governments in Australia, including that of NSW, of the harm caused by coal mining and combustion. They continue to support this industry, and their facilitations have been unconscionable. No modern wealthy society should tolerate preventable deaths from air pollution or Black Lung – any more than from the harms from tobacco. Times are rapidly changing with falling commodity prices, as many shareholders in coal are noting, and the current message for the industry is prudence. Mining giant BHP Billiton has only this week axed almost 300 jobs from its Mount Arthur coal mine in the Hunter Valley. The NSW Minerals Council’s current campaign follows last year’s Little Black Rock campaign by the Mineral Council of Australia. So why are coal industry peak bodies spending big dollars softening up public opinion now? Are they about to request a bigger subsidy? Are they scared of losing their current subsidy? Are they about to ask for lax environmental regulation as they struggle with a low commodity price? Are they scared of what the National Pollutant Inventory figures will show when released at the end of March? Or is this the last gasp from an industry on a downward spiral that can’t let go? We can acknowledge the importance of the mining industry in the historical development of Australia and modern civilisation, but it must now face the realities of health, climate change and cost to society when civilisation now has alternatives. Dr Ben Ewald is a general practitioner in Newcastle and teaches epidemiology at the University of Newcastle. Dr David Shearman is the Hon Secretary of Doctors for the Environment Australia and Emeritus Professor of Medicine at the University of Adelaide.